Now if there's one thing Amsterdam is known for (forgetting the coffeeshops and Red Light District) it's stroopwafels. After watching them being made on The Great British Bake Off we vowed to track them down on our trip to the city and that's where we chanced upon van Wonderen Stroopwafels a specialist shop who's be making these gooey bits of goodness since 1907. 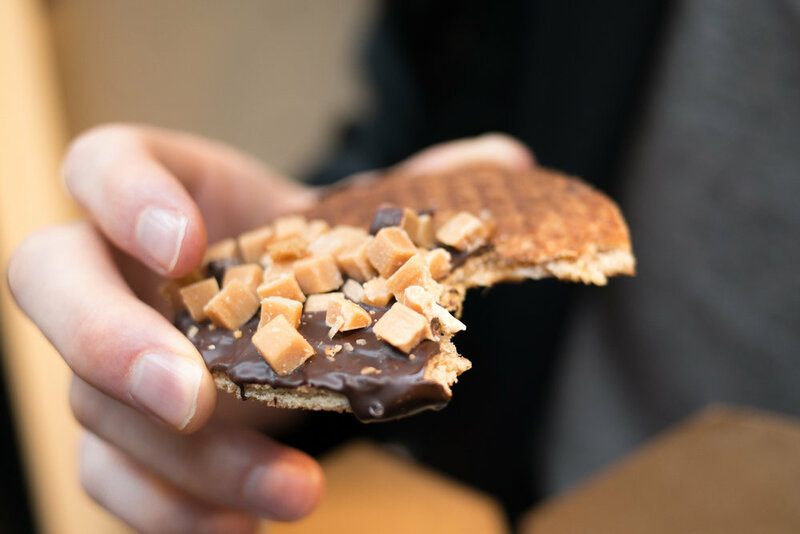 Starting with their transitional base and topped with an array of delicious extras like white chocolate, marshmallows, M&Ms, and nuts, all freshly made each day or made to order if you're ordering the large stroopwafels. 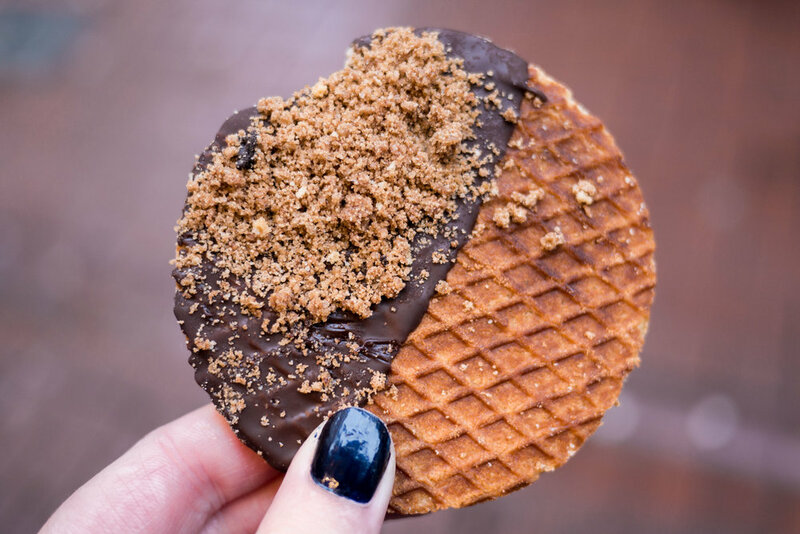 They're not the cheapest you'll find in Amsterdam at €10 for 3 of the smaller stroopwafels but we can guarantee they're the best (and the prettiest) that you'll find!